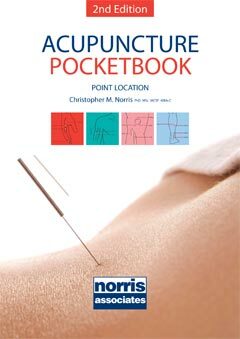 Dr Christopher Norris was one of the founding AACP tutors who established the 6 day acupuncture foundation course, and his course has been accredited from the outset. He is the author of two textbooks on acupuncture practice for musculoskeletal (MSK) practitioners. The AACP accredited acupuncture foundation course is open only to UK Chartered Physiotherapists or Physiotherapists practicing overseas with equivalent qualifications. Course graduates once passed are issued with a certificate for a one year complimentary AACP membership and are able to join this professional network group should they wish to do so. Foundation courses for other practitioner groups such as graduate sports therapists / rehabilitators, osteopaths and chiropractors are still taught, but as non-accredited Continuous Professional Development (CPD). Foundation courses taught outside the UK as intensive 6 day blocks are again as CPD only and will not be accredited by AACP. Post basic acupuncture courses are open to all registered practitioners with acupuncture training and are again taught as non-accredited CPD. A six day (2, 3 day weekends or 6 single days) course. A four week gap is left between parts one and two. Please note that all students applying for the Acupuncture Foundation Course must be registered chartered physiotherapists (MCSP) and will need to supply their CSP registration number. Unless otherwise stated, this course is AACP accredited. Patellar fat pads – what are they, and why are they important? Menopause and hot flushes – can Acupuncture help?